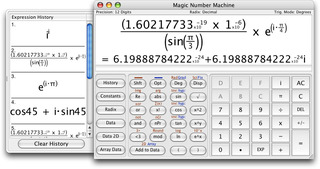 Magic Number Machine – A high-precision scientific calculator for mac tech freaks. It is available for Mac OS X 10.4 and greater versions. 25 Digits – Unlike the 10 digits of a normal calculator, making it easy for biggest numbers calculations. Complex numbers – Complex numbering for your calculations with under-root and power functions. Hexdecimal, octal, binary, decimal and 2’s complement display. Value memory limited only by computer memory. Matrix functions including gaussian elimination, inversion and determinants. Large number of scientific constants built-in, perfect technological value. Linear regression – An analysis between 2 parameters. 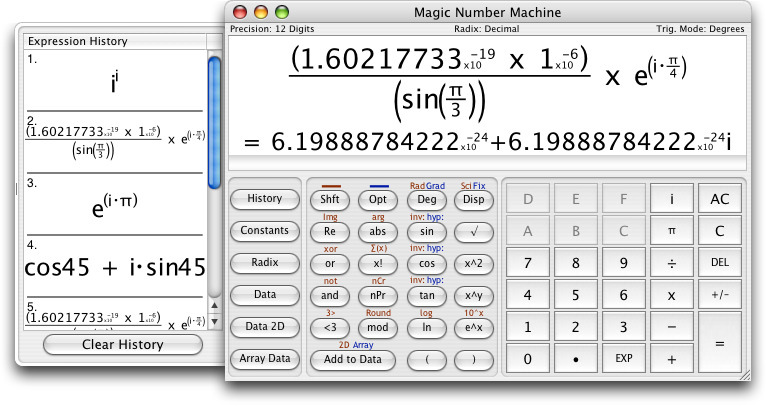 Download the magic number machine application here. This. is. amazing. It looks like it uses some form of Mathtype, or is that just the display?